It was announced this week that Demi Lovato will lend her voice to a new animation, which will be distributed by 3QU Media, signed by the producer responsible for the franchise "Shrek," the Oscar winner John H. Williams. The film will be titled "Charming", and will take place in a world where the princesses Snow White, Cinderella and Sleeping Beauty are the same brides, Prince Charming. The singer of "Neon Lights" will play Lenore, the true love of the prince, and is also the executive producer of the movie musical. 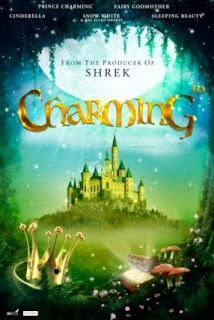 "Demi’s contribution will make 'Charming' is a success in various formats," said Williams in an interview with Variety. There's no official release date set yet for the movie.